Cambridge is home to two of the world's most prominent universities, Harvard University and the Massachusetts Institute of Technology. A number of Manhattan Project scientists were educated at Harvard and MIT, and both universities played an important role in the development of the atomic bomb during World War II. Harvard University became an important center for nuclear physics research during the early twentieth century. After Ernest O. Lawrence constructed the first cyclotron at the University of California at Berkeley in 1929, Harvard physicists and engineers such as Harry Mimno, Kenneth Bainbridge, and Edward Purcell began thinking about building their own cyclotron. 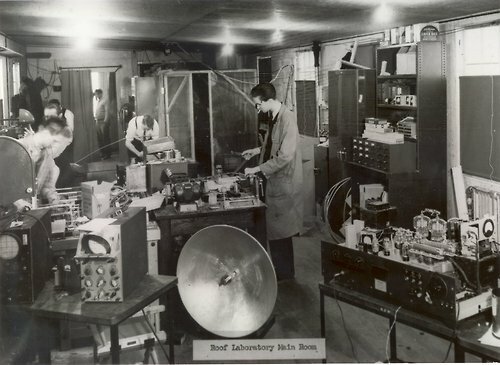 In 1936, the construction of the cyclotron began in the Gordon McKay laboratory, a wooden World War I building on the east side of Oxford Street. The magnet in the cyclotron weighed eighty-five tons. Shortly after the Manhattan Project had been approved, it became clear that a cyclotron was needed to measure various nuclear reaction cross sections of interest, and supplement the work already being ably carried out at the Princeton cyclotron. Discussions began at a high administrative level, and top secret level, between Harvard President James B. Conant and General Groves and it was agreed that Harvard would sell the cyclotron to the US government for $1 million with an informal promise of a cyclotron to replace it when the war was over. Since the atomic bomb project was top secret, the purpose of the purchase had to be disguised from those not cleared for secret information. The "cover story" that officials developed was that the cyclotron was needed for medical treatment of military personnel and it was sent to St. Louis to be forwarded to an "unknown destination" (Los Alamos, NM). Important wartime research was also conducted at MIT. Shortly after the war began in 1939, a delegation of British scientists met with leading physicists in the United States to share their research on an innocuous-looking radio tube known as a cavity magnetron. In short, this device used reflected radio waves to detect planes and boats at a distance. Karl Compton, President of MIT, had pursued microwave research for defense purposes from very early on, but it was not until the disclosure of the cavity magnetron to the Americans that the possibility of developing truly useful radar for use during war became realistic. 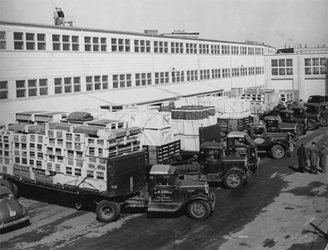 Another scientific achievement at MIT was the construction of the Radiation Laboratory. 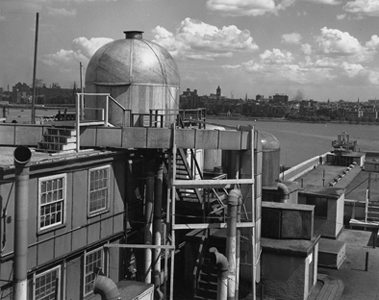 The Rad Lab, as it was commonly known, advanced and accelerated radar development, producing new iterations of radar units with great speed, testing them first on the edge of the Charles River that runs through Cambridge. Eventually the Rad Lab grew to have an annual budget of $13 million, a staff of over 4,000, and industrial contracts worth $1.5 billion; it was, as such, the single-largest war research laboratory. Fay Cunningham joined the Manhattan Project in 1944 as a metallurgical engineer at the Massachusetts Institute of Technology. The full transcript can be found on "Voices of the Manhattan Project."